There's something about starry skies that can bring about a sense of awe and inspiration for me. The same goes for mountains. The infinite space and giant rock forms make us seem small...or make God seem big. 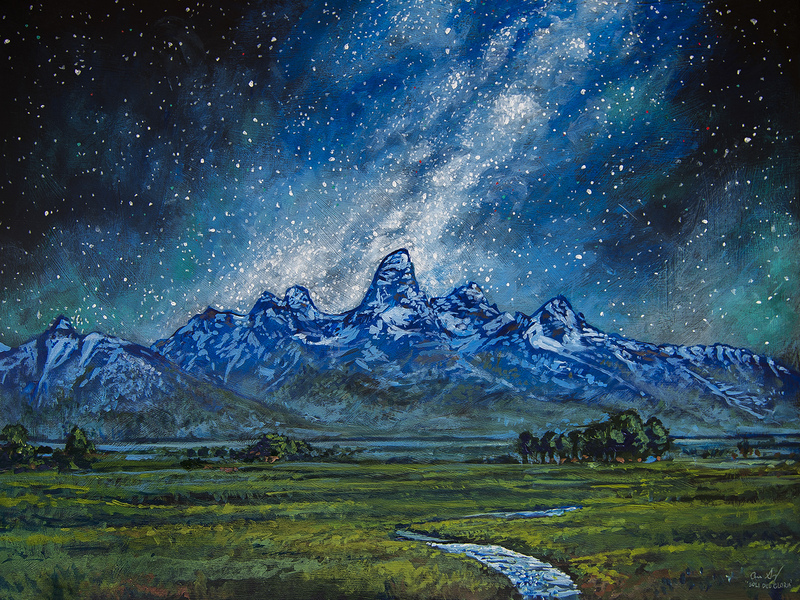 This acrylic painting was taken from multiple images of midnight photo shoots of the Milky Way and predawn images of the Grand Teton Mountain Range from northwestern Wyoming. In my opinion, the Tetons from near Jackson Hole are the most majestic and jagged peaks in the lower 48 states. I've wanted to paint them for a while, but have been focusing on summer trips and photography. 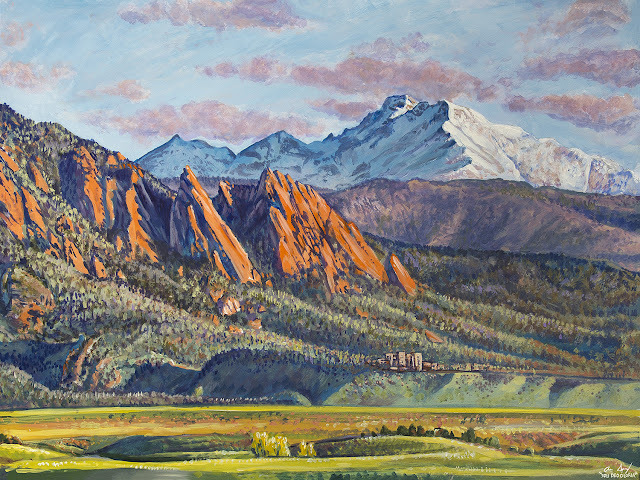 A couple of rainy days in the mountains have kept us home giving me the opportunity to paint.